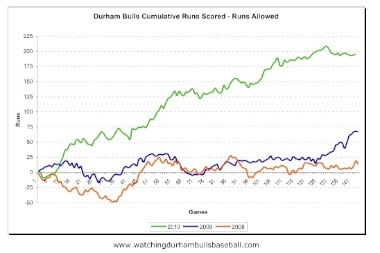 With the Rays just hanging out down in St. Pete as they wait for tomorrow night, let's dump these charts on the world just to remind ourselves what a great year the Bulls had. All in all, a very impressive year. 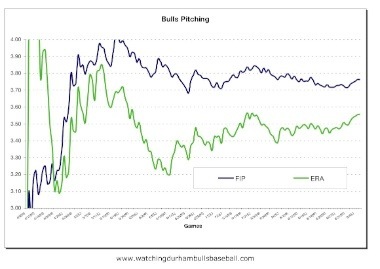 Also during the year we kept a running chart of the cumulative ERA and FIP (Fielding Independent Pitching). 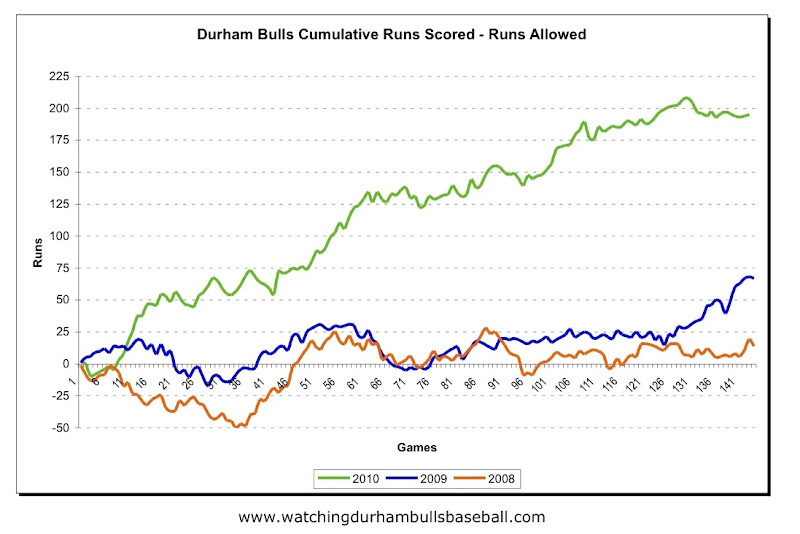 Obviously very erratic for both metrics at the start of the year. 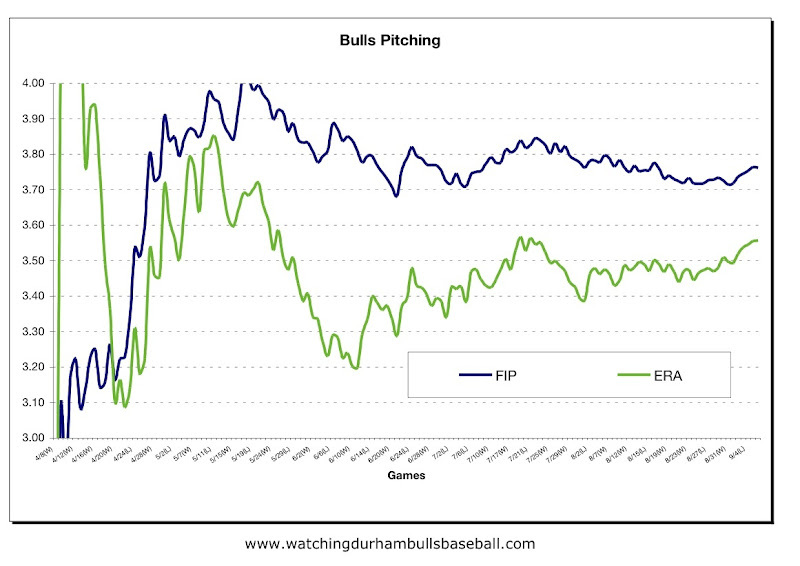 However, it sure looks like Team FIP is a more stable than Team ERA. 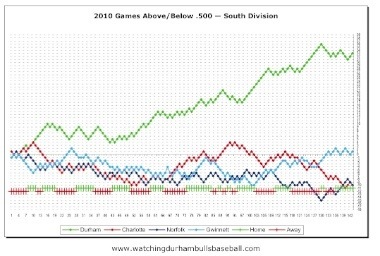 On the other hand, at the end of the season when the great guessing game each day was trying to figure out who the starting pitcher was going to be, the upward slope of the Team ERA seems to more accurately show what was happening. Guess we'll end up tracking both next year. Meanwhile, to give them their due, the guys down in St. Petersburg had a decent year as well. 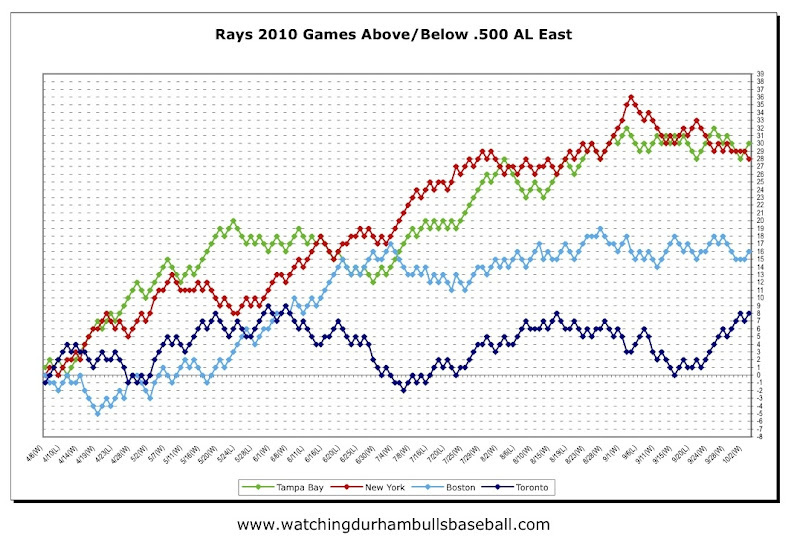 The Rays started off with one heck of a run, but then the Yankees went on a tear that was hard to keep up with. 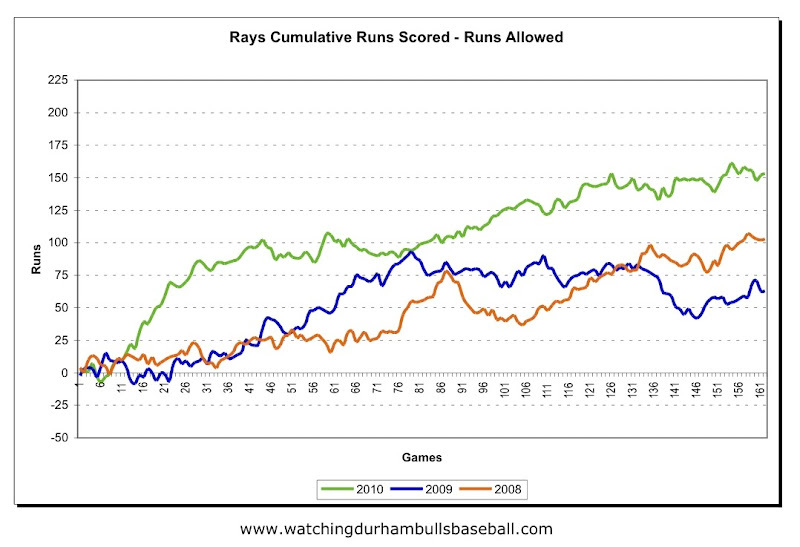 But then the Rays did too, even with a shaky end of the season. Note that for the simple reason that it messes up the chart, Baltimore was left off. 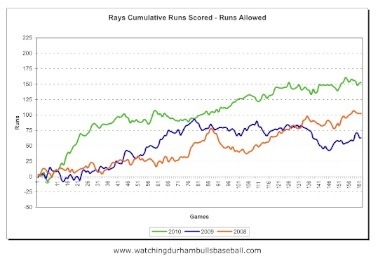 Finally, the Rays runs chart. Good year. 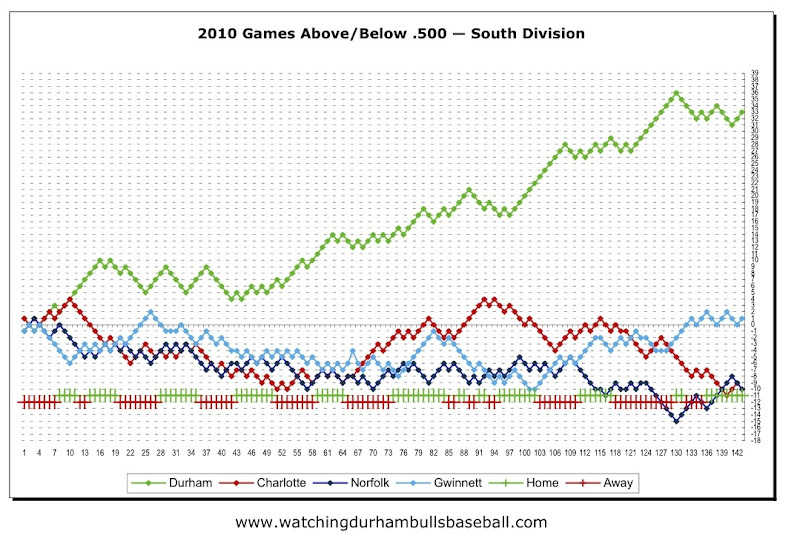 And this chart also shows that the last three years have been pretty darn good. 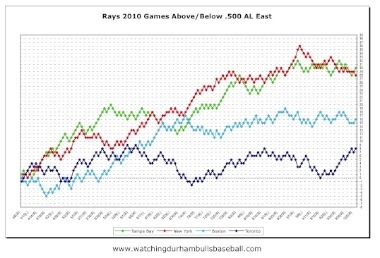 At a guess, the Rays are by far the best small-market team in baseball in those years. And it shows.